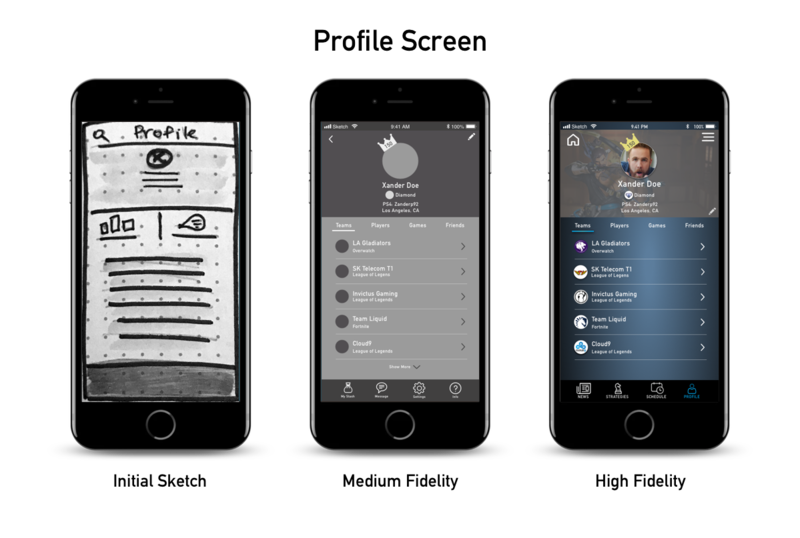 Upcomer is an eSports companion app. Upcomer keeps its user base up to date with the latest news on the competitive scene and more for their favorite games and teams. The objective is to incorporate more engaging features to grow their community. My Role: User research, competitive analysis, sketch initial UX layouts, conduct user testing, create presentation, and project manage. To gain a better understanding of our target audience, we interviewed several self described gamers. 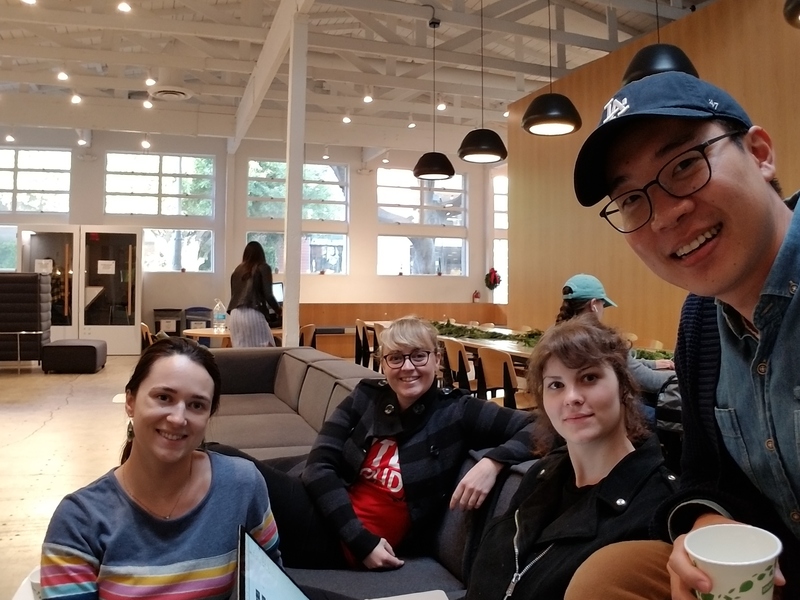 These interviews taught us about the frustrations, motivations, and goals of our target users. I usually game just to play with my friends. It gives me the opportunity to play with friends that live far away...it’s all of your friends playing together which is fun. Analyzing competitor’s app’s gave us insight on the market. 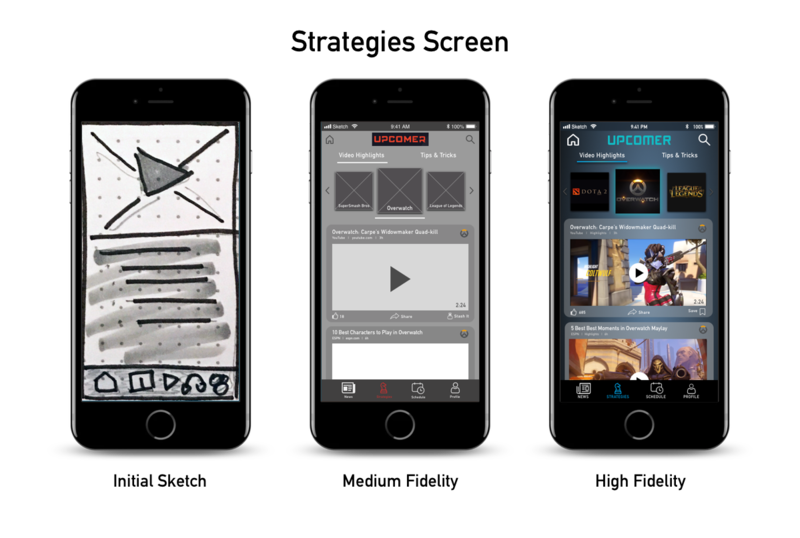 We identified feature trends that are currently being used; however few provided tips and strategies with video content directly in the app. This To help understand the needs and goals of our users, we synthesized our data and created a persona. This helped form our decisions to better determine content priority based on specific needs and goals. After determining who our persona is, we began synthesizing our research to help us determine which features we would add for this phase of the project. 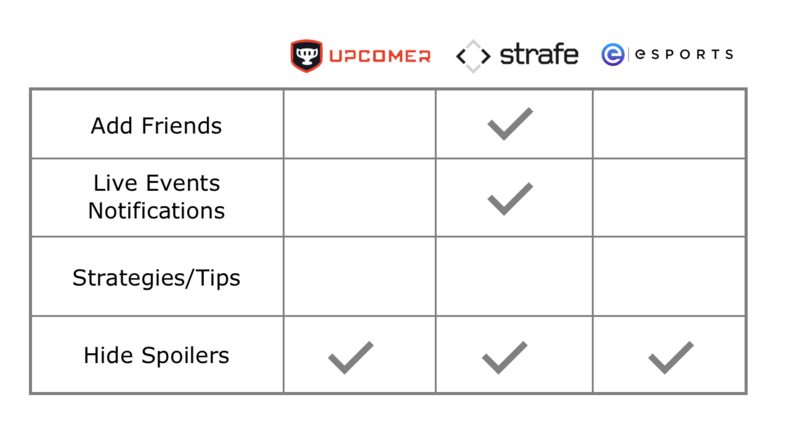 Below is our feature prioritization chart. 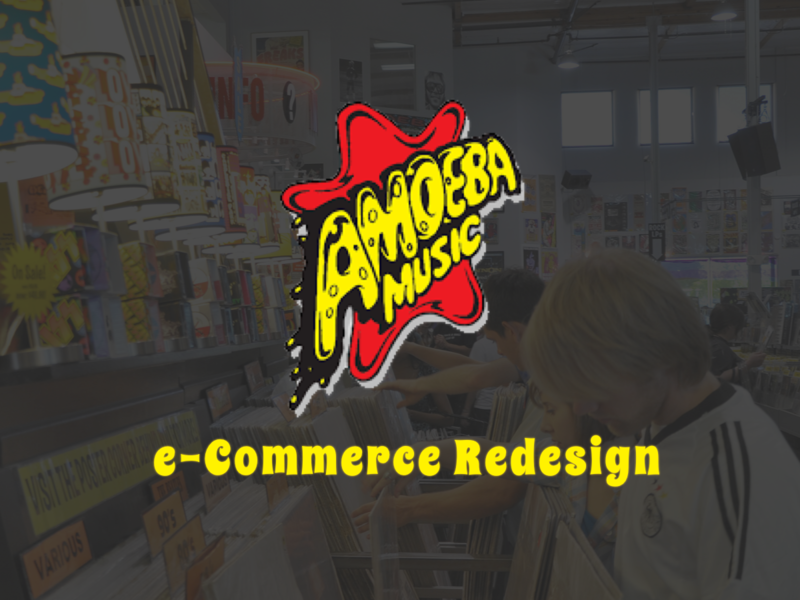 The lower right are features with the highest business value and least complex to execute, we chose features for this project that were either in this quadrant to close to it. 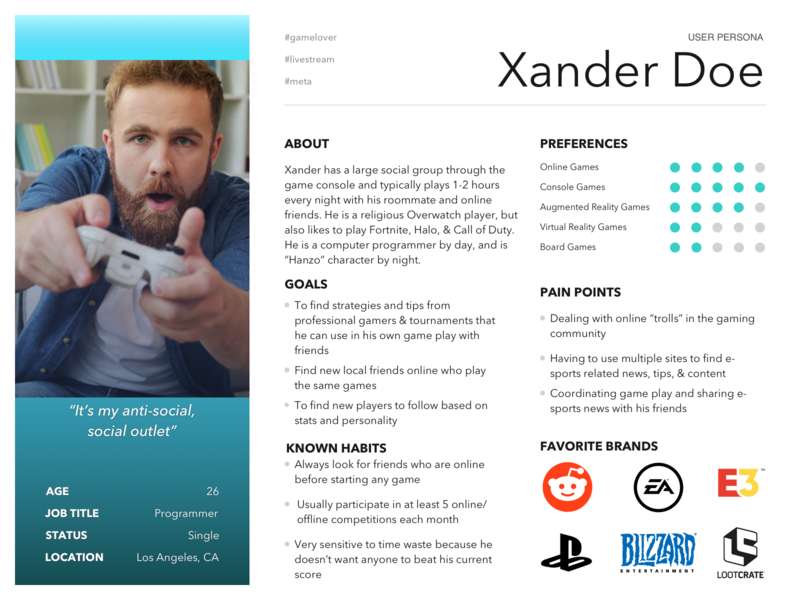 Xander had a difficult time trying to follow the LA Gladiators, and also discovered it was impossible to find strategy videos or share them with friends through the Upcomer app. How might we help him find tournament strategy videos and also allow him to connect and share his discoveries with his gaming friends? 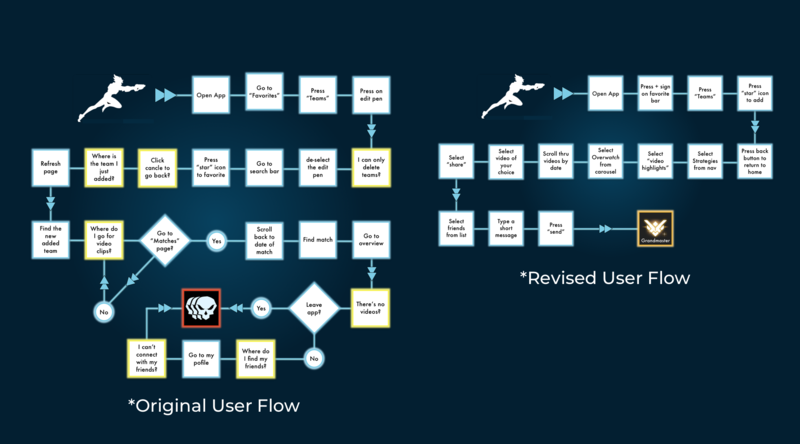 We created a user flows to show the complicated navigation that the Upcomer had before our enhancements. 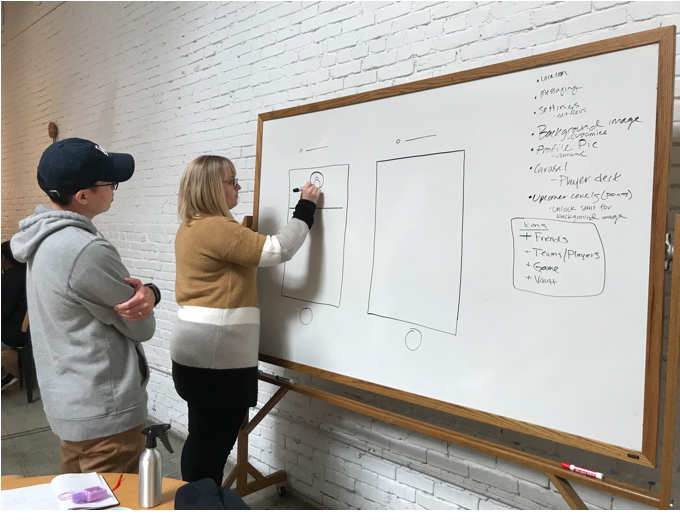 After assessing user needs and challenges, we began a design studio, a process that allows the entire team to explore all app layouts. We drew out three of our main pages. From here we were able to create initial wireframes. 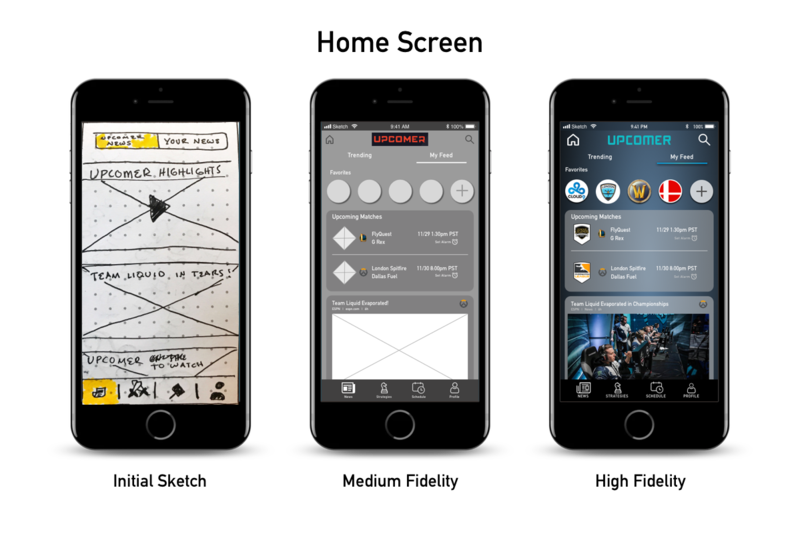 To get a sense of how our users would use the app, we began a series of Usability Tests. 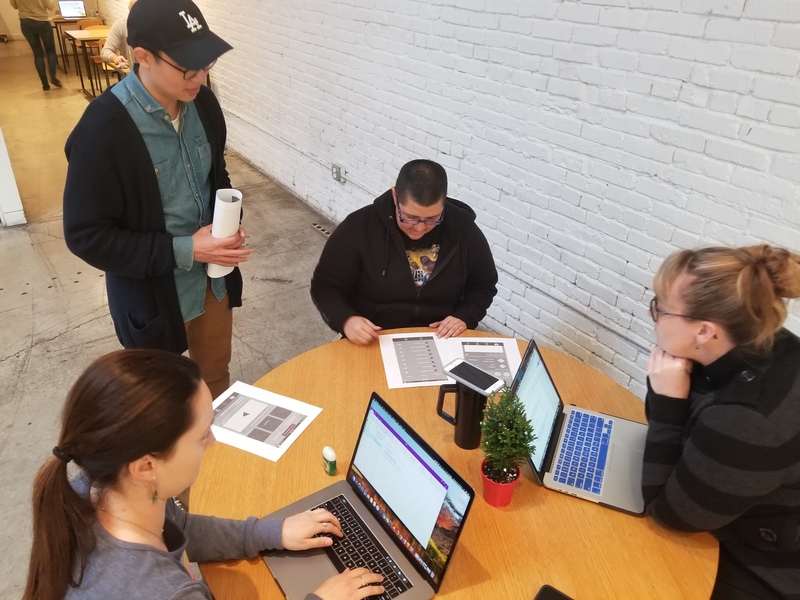 We performed several rounds of usability testing with a medium fidelity prototype. We created a hi-fidelity prototype, you can watch the recording below. 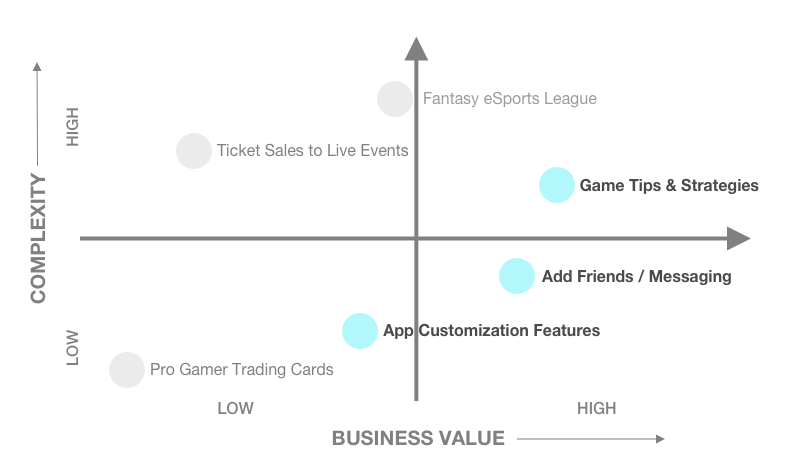 We tested the High Fidelity Prototype with several users, both gamers and people with little knowledge on the eSports industry to test out how intuitive we made the app, especially for users new to the gaming industry. 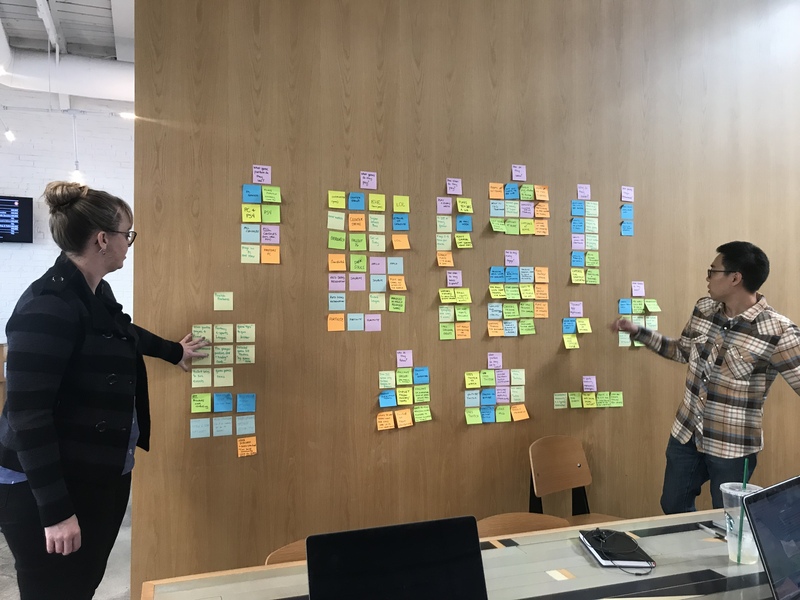 In order to make more changes and iterations, we would need to test the app with more users, gain more feedback, and make iterations from there. We would like to continue to roll out features that we ideated early on in the process, such as adding a Fantasy League feature (similar to fantasy football). 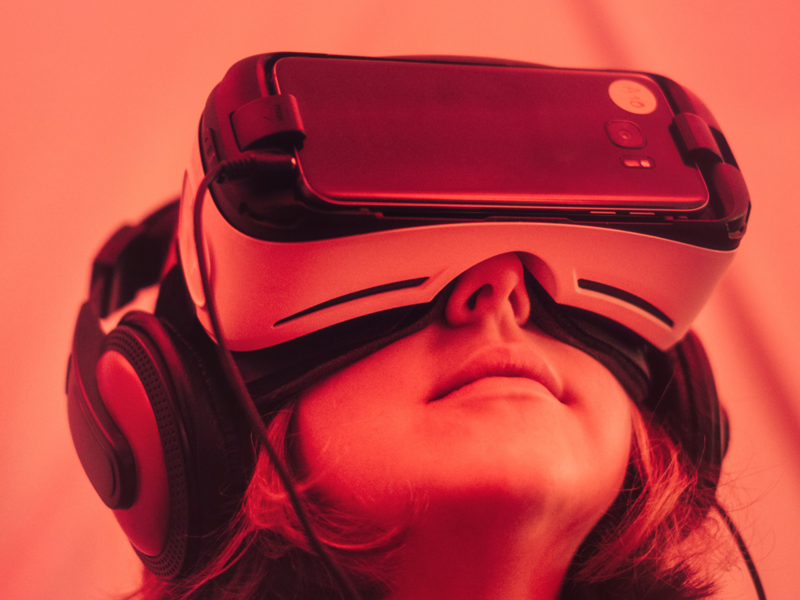 We found that the gaming community is really engaged, and several of our users want more ways to interact with their friends as well as the professional eSports circuit. I'm really happy with how our project turned out, and it felt incredibly satisfying to go from gamer n00b to a subject matter expert. Given an opportunity to go back and re-do this project or even work on it for another two weeks I would want to research and interview a larger variety of gamers such as taking a deeper dive into League of Legends or Call of Duty. I would also have liked to have practiced contextual inquiry by going to a tournament and talking to people, which is something we didn't have the opportunity for given that December is the offseason for most events. Additionally, I would like to really explore how fleshing out a fantasy eSports league would look like and function. Given that I play fantasy football, I'm curious about how much of that culture and functionality would work compared to eSports when there are so many different games to choose from.